"Inclusive Place-Making in Spartanburg, SC: Amplifying Latinx Voices t" by Marianna Gonzalez, Kathleen Hughes et al. In response to a growing local interest in “place-making” work, our team developed and carried out a research project centered on the ideas of inclusive place, community, and health, with a focus on the inclusion of the growing Latinx community in the Spartanburg area. The project is a first step in what we imagine to be a long arc of community-based research and is in response to the desire of community collaborators for better information to inform their decision-making, particularly with regard to inclusion of Latinx residents. The long-term arc of the research will be shaped by ideas from community partners related to inclusivity; thriving and welcoming community spaces; health equity; and food access and is adaptable to a focus on particular areas or demographics within Spartanburg County. The goal of the present phase of research was to generate qualitative data (1) to inform the implementation of upcoming community projects; (2) to be available to community leaders as a complement to existing quantitative data about areas related to the research focus; (3) to inform the scope, design, and methods of other groups interested in doing related research work, including program evaluation or assessment. Our qualitative approach has sought to respect the “Don’t do anything for us without us” imperative for inclusive community work and aims to create a way to include and amplify the voices of those who will be affected by coming community projects, in informing the implementation of those projects. 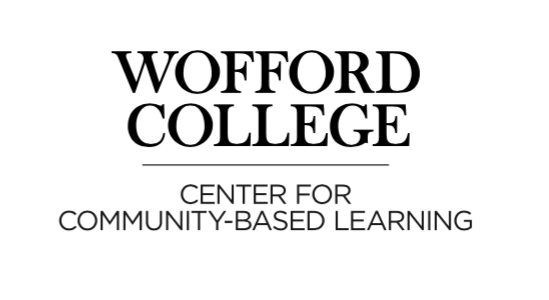 Gonzalez, Marianna; Hughes, Kathleen; Lomeli-Garcia, Mayra; Lopez, Sandra; Barbas-Rhoden, Laura H.; and Dinkins, Christine S., "Inclusive Place-Making in Spartanburg, SC: Amplifying Latinx Voices through Community-Based Research" (2018). Community Based Research. 1.